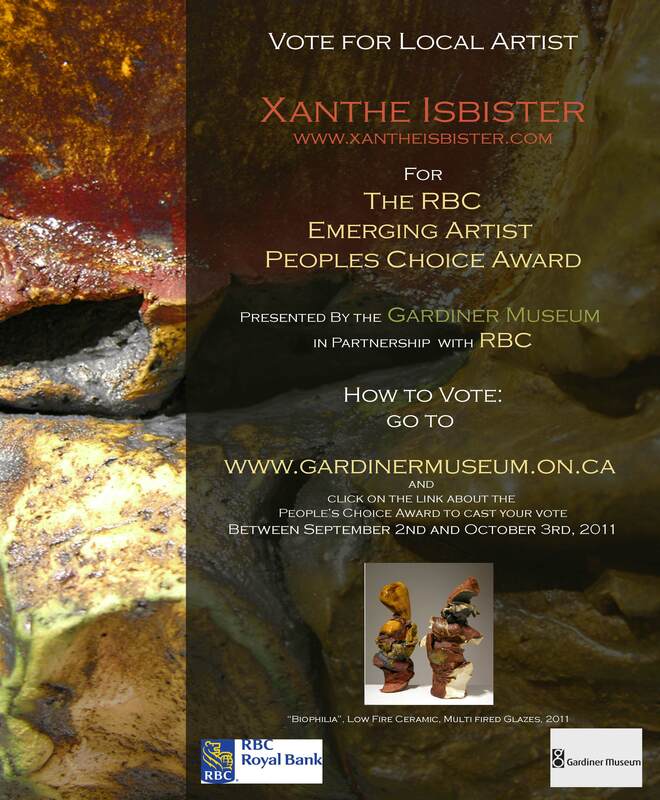 Local Artist, Xanthe Isbister is up for nomination for the 2011 RBC Emerging Artist Award by Chief Curator of the Winnipeg Art Gallery, Helen Delacretaz. Xanthe writes that, “I have lived in Manitoba, Saskatchewan and Alberta, and am the only artist nominated from across Canada that is representing the prairies and would really appreciate the support!”. You can vote for Xanthe by clicking here. The five finalist works will be displayed in the museum and on the museum website for a designated voting period of one month, plus an additional length of time after the voting period to be decided by the museum. The artist who receives the greatest share of the popular vote from museum visitors and online voters will win the award. The award exhibition dates for 2011 are September 2 to October 3, 2011. This award which has been generously supported by RBC is designed to engage the public and raise the profile of several up-and-coming artists,” says Alexandra Montgomery, Executive Director of the Gardiner Museum. “The experts selected the five finalists for their imagination, ability and, most importantly, their potential to contribute to new directions in ceramic art. We hope this award will stimulate the public to participate in a national conversation about contemporary ceramic art, and provide the public an opportunity to actively support the careers of a new generation of Canadian ceramic artists. We are incredibly grateful to RBC for their support and are really excited to provide this opportunity for the artists and the public. This entry was posted on Saturday, September 10th, 2011 at 6:08 PM and is filed under Art Events, Artists. You can follow any responses to this entry through the RSS 2.0 feed. You can leave a response, or trackback from your own site.